Our culture, ways of working, people, and experience define us, and this allows us to stand out against other market research agencies. We are obsessed about making a difference. Nothing beats the buzz of seeing the results of our work having tangible impact. We exist to help improve decision making, to leave a positive impression on our clients’ organisations – helping them to beat the competition, to make or save money, to improve products and services, or satisfaction, loyalty and advocacy, or to engage more effectively. On a daily basis, we make a difference by delivering an attentive service to our clients that is second-to-none. The business and service we deliver is underpinned by four core values. Our international research credentials are strong. Mustard has delivered market research programmes in more than 75 markets around the world. Indeed, the business was founded on multi-country tracking research for leading brands in the chemicals sector. We are not tied to using any particular agency in any market – we operate using a vetted network of partners whom, allowing us to be cost competitive, allowing us to leverage higher levels of service, and allowing us to hand-pick partners based on their skill sets and specialisms. We ensure that all of our partners follow similar quality assurance procedures as us and must be fluent English speakers. All receive written and verbal briefings, and if working with a partner for the first time we also meet in person (for briefing and fieldwork observation). 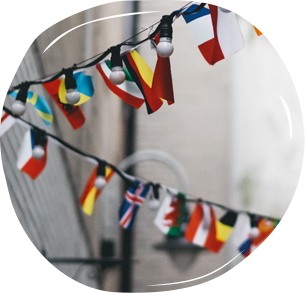 We also coordinate international programmes from the UK, using specialist online panel providers and multi-lingual CATI units for telephone research. We are proactive and deliver an attentive service. We are problem solvers. We can be reactive, flexible and fleet-of-foot. We are a reliable, transparent partner who you can trust. We are one of few agencies to hold ISO20252 accreditation, and guarantee quality – from briefing to beyond the debrief. We stick with our clients and they stick with us. We have method expertise – using qualitative quantitative and hybrid research methods. We watch and understand societal trends. We “get-it” faster by listening, understanding and responding. We initiate and embrace change. We use innovation with purpose. We ensure every project has experienced director-level input. We immerse ourselves totally in what our clients do – the business, the vision, the challenges, the objectives. We have commercial acumen, and can stand back from the detail. We are focused on the goal – always considering what insight means both strategically and practically for the clients’ business or organisation. We deliver in context with clarity and gravitas and are happy to challenge when necessary. People you will feel confident in, and who you will enjoy working with. Our people are our business. We are naturally enthusiastic for our work – we live and breathe breakthrough insights. We love to see our clients win. We have a “yes we can” positive attitude. We put people at the heart of our business – the right people, with the right mind-set. Everybody has the opportunity to drive change and make a difference. We have fun doing what we do. Everyone plays their part in making Mustard a brilliant place to work. Our people are our business. The Mustard team is an eclectic mix of skilled, passionate researchers and strategists. We’re all in the job to make a difference, and love nothing more than seeing our clients win.